FAIRWORLD ZAMBIA (Fairworld Properties Limited) is dedicated to the business of Corporate Leasing, Tenant Representation, Residential, Commercial, and Agriculture Brokerage, Investment Planning and Valuation of property and chattels in Zambia and surrounding Countries. Our array of services is designed to relieve the stress and tribulations from selling, to looking for, finding and moving into your new home. Creativity in clients’ services is at the forefront of our operations. Further, we are qualified in Corporate Leasing and Investment planning. If you are looking for Property Consultants in Zambia, intending to acquire a house, land or any other property FAIRWORLD ZAMBIA is ready to carefully take you through the process. The company is committed to high professional standards set by RICS (Royal Institute of Chartered Surveyors) www.rics.org . We ensure that the client is informed of all the external elements that may influence their project and/or investment. 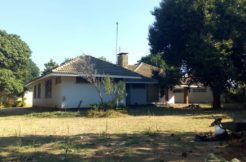 We give tailor made advice on the best options to meet your needs and objectives in renting a house in Zambia, the building process in Zambia, property development finance sources other various factors in the real estate industry in Zambia. “To provide service to all our Business Associates and Clients with utmost Integrity, Creativity and Excellence in order to facilitate COMPLETE PROPERTY SOLUTIONS”. “To be professional in the field of Property Consultancy; offering COMPLETE PROPERTY SOLUTIONS”. Fairworld Properties Limited (FAIRWORLD ZAMBIA) was founded by Mr Chisebwe Fumbeshi, holder of a Bachelor of Science Degree in Land Economy (Copperbelt University- Zambia) after working for R. M Fumbeshi & Company (Valuation Surveyors) for more than eight (8) years. Within the period, some of Zambia’s largest Companies, Banks, Mining Companies, Financial Institutions as well as private individuals are amongst the Organisations that FAIRWORLD ZAMBIA Founder has been trusted to represent and/or advise in his career. Mr Chisebwe Fumbeshi leads a team of professionals drawn from various disciplines including Environmental Auditing, Economics, Marketing, Mass Communication, Real Estate and Construction. Mr. Fumbeshi is a Full member of the Surveyors Institute of Zambia (SIZ), Zambia Institute of Estate Agency (ZIEA) and Registered Valuation Surveyor. The fine combination of knowledge and experience makes FAIRWORLD ZAMBIA one of the leading companies in Providing Complete Property Solutions.